That’s right; you don’t have to wait anymore. The Honda Civic Type R, allegedly one of the most awaited U.S. – driven performance models in a while is about to be available for purchase during the upcoming summer. This highly wanted piece is going to hit the market in June or July 2017 and will be available for around $30k. The schedule of release and price of the Civic Type R are not yet established, and that just seems to be an empty promise, particularly for those who have anticipated this highly wanted model for years to become available to the U.S. buyers. For those that do not know, the Type R model has in fact been around since 1997, including five different generations, with the last one that has been presented at the 2017 Geneva Motor Show. During their time, the previous four generations of Civic Type R have never managed to find their place in the U.S. market. Of course, they could occasionally find their way to places like South Africa, Malaysia, and Hong Kong, while the U.S. had always been unreachable for this very desirable hatchback, contrary to the fact that this country is still one of the largest Honda markets. None of these is important now since the 20 years long anticipation is going to be over. The Honda Civic Type R, along with the impressive 306-horsepower and 295-pound-feet of torque heart will be wandering the streets in the States. It needs to be mentioned that the U.S.–spec Civic Type R will have somewhat less power than the international models, which will have 315 horsepower. The dissimilarity in performance will probably not be significant for the future since the U.S. customers have been dying to get the chance to buy this car. And while everybody waits for “late autumn” to arrive, least we can do is to rejoice the appearance of this car at the 2017 New York Auto Show where it will be presented along with the Honda Clarity Plug-In Hybrid and Honda Clarity Electric models. The price of the Honda Civic Type R is still to be published officially, but even though automaker is claiming that the MSRP will be around $30k, don’t be persuaded to think that the buyers will have any doubts when it comes to purchasing this model. For example, even with such figures, the Civic Type R’s price strategy would be emulous in comparison to some other of its competitors. The 2017 Ford Focus RS, for instance, costs $36,995, while the 2017 Subaru WRX STI bears a $36,015 price tag. 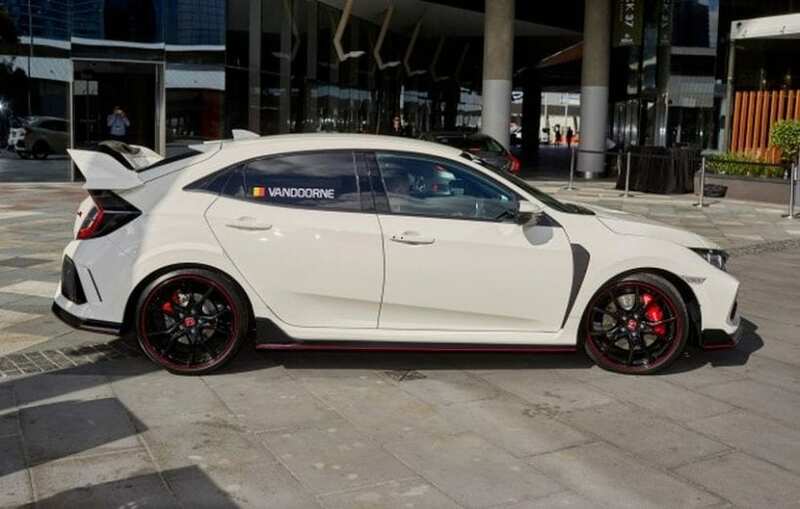 If the Honda Civic Type R is valued at about $34,000 to $36,000 that would immediately provide this vehicle a fine and suitable price in comparison to its rivals. Leastwise, the cost would be much lower than the $40,195 base price of the 2017 Volkswagen Golf R. So when it comes to the price it does not seem that there is any reason for the ones who want to buy this model to be concerned about it. If there is a need for concern about the Civic Type R, that would be the number of delivered units. Honda has always been checking the quantity of the model, often assigning a certain number of cars to particular markets. The number of the Civic Type R that will be available on the U. S. soil is still unknown, but it is something that the buyers should be familiar with, particularly those who intend to own it.